“What are your camps like, exactly?” is a question we hear quite a bit. Browsing our website and reading the information can give you some understanding, but to really know what our programs are like is impossible without experiencing them. Here is our attempt to try anyway. Kids have an amazing imagination. When they are told a story, their brains create a vivid experience filled with all the senses. 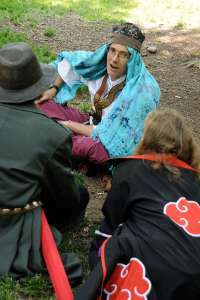 Our “Quest Leader” staff are skilled storytellers that weave the participants – the “Questers” – into the tale by allowing them to be the first-person heroes of the quest. 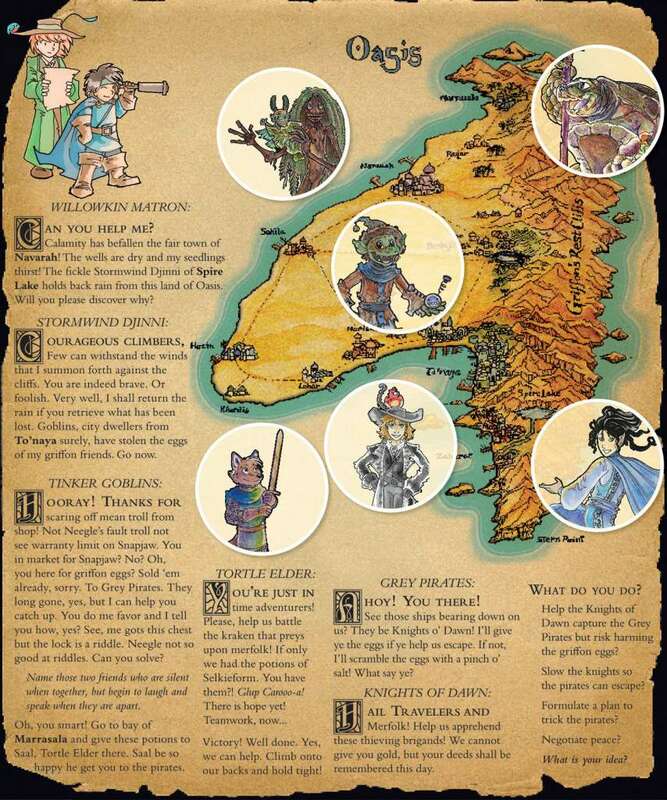 It is the Questers’ decisions that matter, and as these decisions and actions are made by the kids, the Quest Leaders are equally skilled at modifying the plot of the story to factor in the heroes’ decisions. 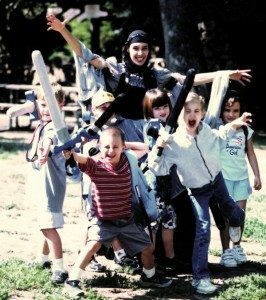 When the heroes must overcome some obstacle in their journey, the Quest Leader uses props, sports equipment, Swasher swords, and game mechanics to challenge the heroes to see if they succeed and what the results are. As each scene progresses, the story unfolds, and the kids experience what it is like to make difficult decisions, succeed or fail at challenges, work together as a team, battle against fierce opponents, and emerge victorious to save the kingdom. It is an unforgettable experience, fun in every way, and an incredible tool to develop 21st century skills. Click on the photo below to see a mini-adventure sample that you can look at with your children to get an idea of how a quest could look. If you’d like to be mailed a physical copy of this in a flyer with some additional information, please contact us.